Nice weather is finally upon us! Well… here in New York it is still kind of chilly but soon it is going to (hopefully) be swimming weather. 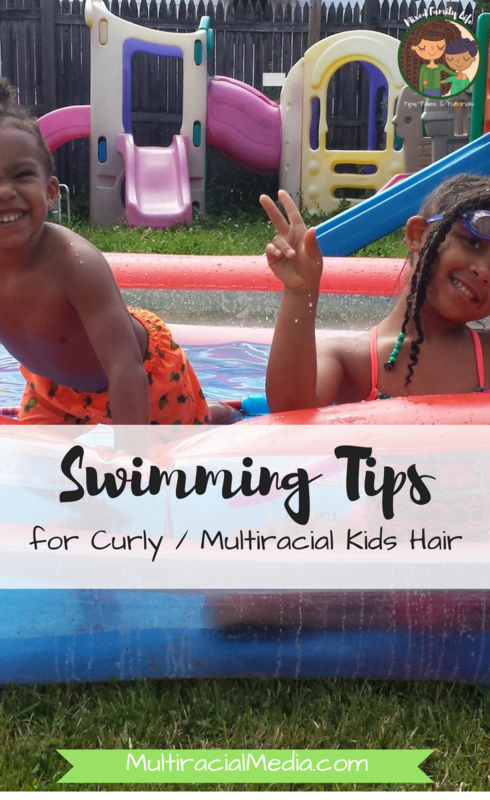 With the heat and all the time in and out of a pool, it is important to discuss how to care for your curly / multiracial kids hair. Keep reading to find out some simple tips you can do to keep your kids hair healthy throughout the summer and swimming. Disclosure: This post may contain affiliate links but all opinions are my own. Personally I would recommend keeping their hair in protective styles as much as possible. I don’t know about you but my kids run around like maniacs and mixing in being outside and all the elements, a protective style helps keep it cleaner and less knotty. Protective styles are key when it comes to swimming. I do not let my daughter swim with her curls free. That is just asking for knots and a miserable time later detangling. So if her hair is free and an impromptu swim session pops up, I minimally throw her hair into a braid or 2. Before swimming, if possible, wet their hair. This is so that the hair shaft absorbs the clean water and then it will absorb less of the chlorine/dirty water. Minimally if you can’t wet it right before, try to refresh it in the morning. Another option is to get a swim cap designed for longer hair, braids, buns, and dreads. This will help keep the hair dryer. You can even put a satin scarf on underneath for added protection for the hair. Another key tip for swimming and summertime, isn’t hair related, but just as important! Please, please, please make sure you put SUNSCREEN on your kids. Even though kids/people of color are better protected from the sun than white people, they still need protection and can get skin cancer and burns. We personally love using a continuous spray one with an SPF of 50 or above and is waterproof. My kids don’t stay still, especially my son, so this is perfect for us. Also, don’t forget to get their top of the head. Parts from protective styles burn easily and boy… do those hurt! That’s it for the day of swimming tips. In general, make sure you continue to deep condition their hair, detangle carefully, and keep it moisturized. Keep in mind this isn’t an exhaustive list, but just some basics that I’ve found to be helpful. Any tips that you have to help protect your curly / multiracial kids this summer while they swim? 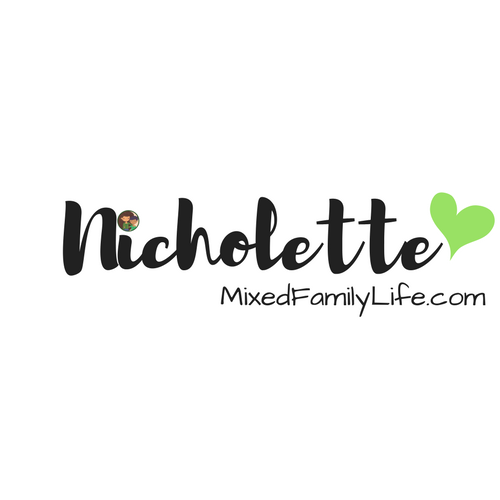 Don’t forget to check out my blog – Mixed Family Life for more tips, tales, and tutorials. What Would Being ‘Unapologetically Mixed” Look Like?